Do I go scary this year? Princess? Throw in the towel and just go for an overdone repetition of a cat? These costume problems are inevitable as Halloween draws closer. 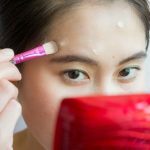 By now, you presumably have your Halloween costume and your list of social parties to attend, but there may be one question that’s still up in the air: your makeup look. The puzzle is, which beauty products to buy for your Halloween Makeup looks this year? 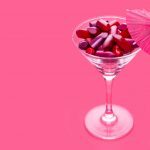 We’ve seen the sparkly stuff and the darker mood boards take over the runways of New York Fashion Week and the red carpet, so what better time to take on the trend when you’re actually encouraged to go overboard! This means we’re in the market for glitter-filled and moody eyeshadows, temporary hair dye, and black lipsticks this year. 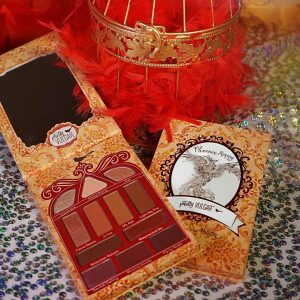 If you are, too — whether your approach of Halloween plans involves channelling your inner Disney Princess or skipping the function altogether to stay home and listen to The Pretty Reckless — we’ve got 6 makeup brands necessary to make your October 31st a stunning success. 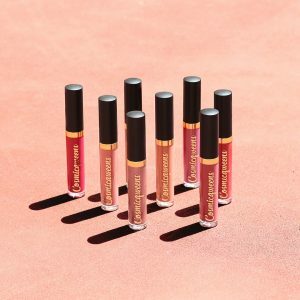 Fenty Beauty Stunna Lip Paint in Uninvited, $36, Available here at Sephora Singapore. Cosmiqweens Velveret Druglord Halloween Edition, 4 Velverets @$88 / Individual Velverets @ $24 each, Available here at Cosmicqweens. 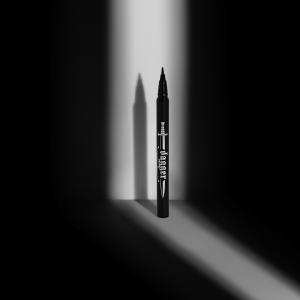 Kat Von D Beauty Dagger Tattoo Liner Waterproof Liquid Eyeliner, $32, Available here at Sephora Singapore. Pretty Vulgar Throwing Shade Eyeshadow Palette, $55, Available here at Sephora Singapore. 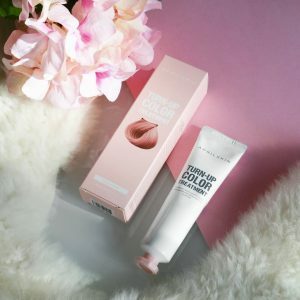 Aprilskin Turn Up Color Treatment in Peach Pink, $13 each, Available here at Guardian Singapore. 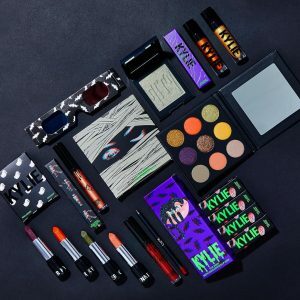 Kylie Cosmetics Halloween Collection, Launching 11th Oct 2018, Available on Kyliescometics.